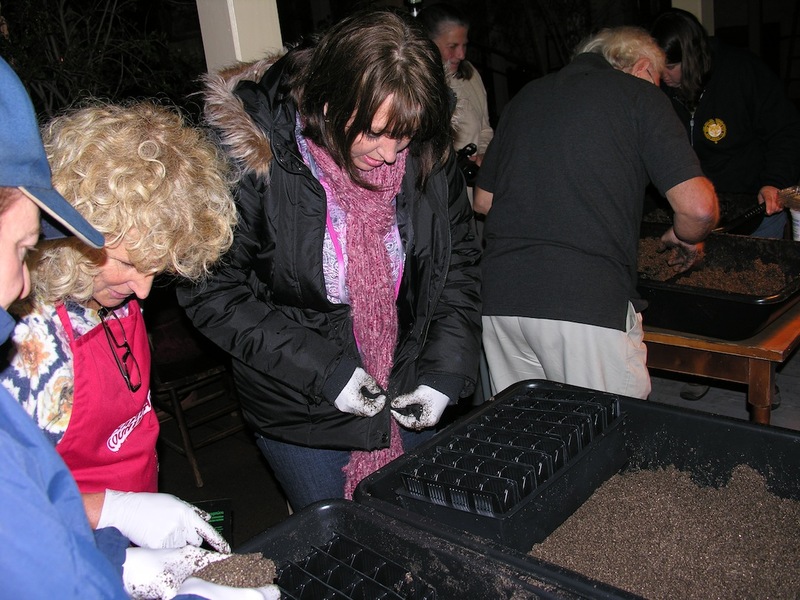 it was cold and rainy, but that didn’t’ stop anyone from showing up for the year’s first seed starting workshop one evening last week at the Cosmopolitan Hotel and Restaurant in Old Town San Diego. We all knew that spring is just around the corner and with it, spring and summer vegetable gardens. I panicked a bit when the rain began, but Cosmo proprietress Catherine Miller knew just what to do. 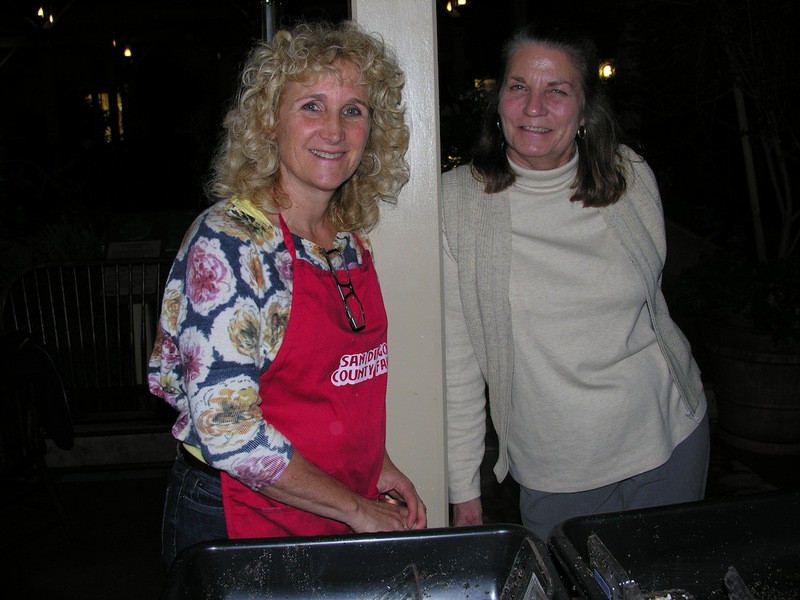 Rather than have us work on the patio under the stars, Catherine had her fabulous staff set up tables, chairs, and lights on a covered walkway alongside one of the Cosmo’s historic dining rooms. The group was small and very enthusiastic. 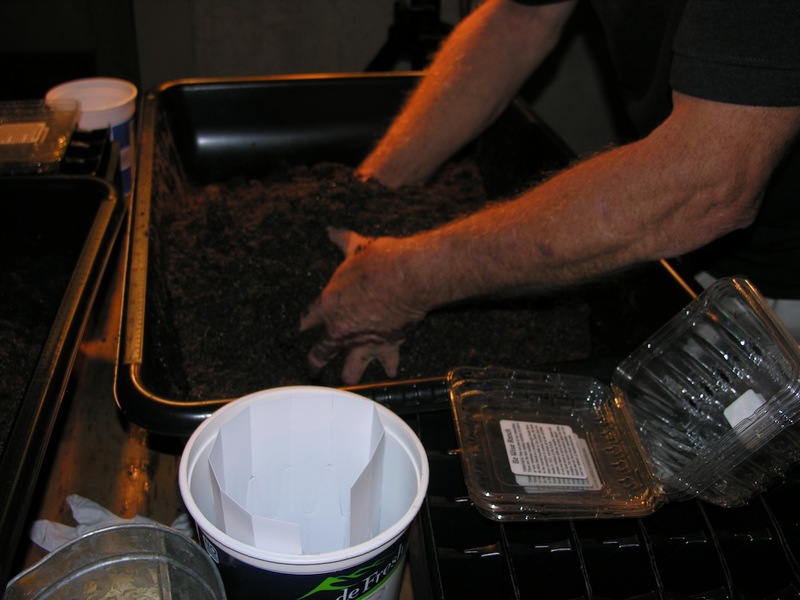 Several people were new to seed starting, others had tried seeds but with mixed results. All were eager to learn. Garden, Nichols Garden Seed, and Peaceful Valley Farm Supply, three of my favorite seed companies. 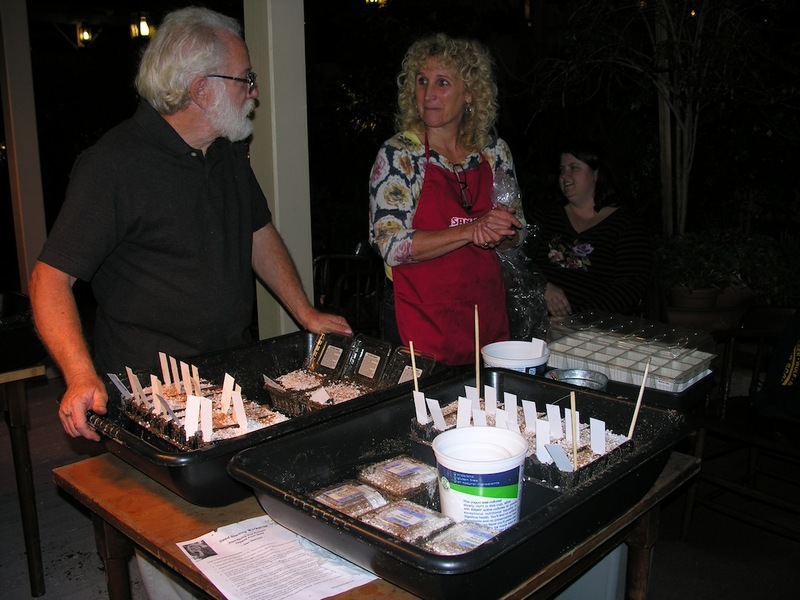 I introduced the group to my favorite seed starting strategy, one honed by years of trial and error growing my own vegetables and testing seeds for Organic Gardening Magazine. My best success, I explained, comes from using containers that can support each seedling from sprout to transplant size without having to separate and repot tiny seedlings. Then, we got busy. 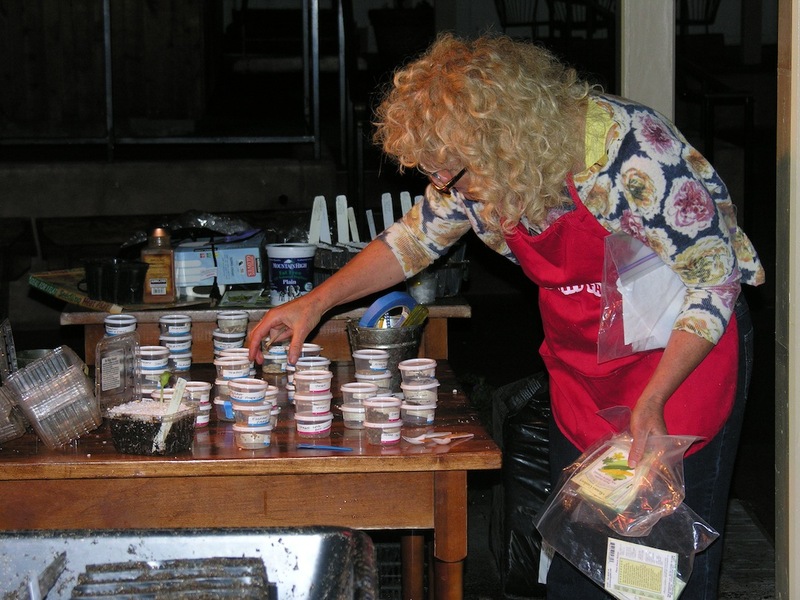 I had set up big trays of seed starting mix, containers for starting seeds, and a huge array of seeds to plant. Each person planted four or five types of tomatoes, several types of pepper, two eggplants, basil, squashes, cucumbers, pumpkin, watermelon, cilantro, chard and more. Part way through the evening, Cosmo’s Executive Chef Andrew Sasloe decided we needed some nourishment. He had prepared small bites using the same kinds of vegetables we were planting. We swooned over eggplant carbonara on crusty bread, an eggplant, squash, and tomato lasagna, and a tomatoey bruschetta,. For dessert, there were steamed lemon custards. These dishes that aren’t usually on the menu but they certainly should be – they were absolutely delicious. I’m drooling at the memory. As we got back to work I listened to the excited chatter. No one was in a hurry, they were simply enjoying the process and taking their time. 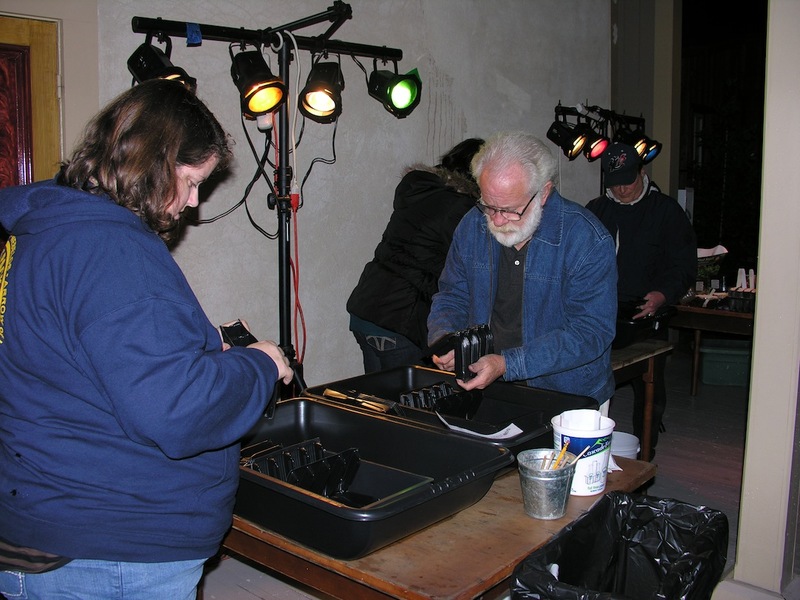 By the end of the night, everyone had a smile on their face and big tray of pots seeded and ready to sprout. One of the participants left me a voice mail message the next day. “It was amazing and wonderful,” she said, “lots and lots of wonderful information.” That’s music to my ears! I’m holding six more workshops just like this one between now and the end of March. Workshops are scheduled all over the county, including a daytime workshop at the Cosmopolitan Hotel on March 18th. You can find a list of dates and locations on my homepage, www.PlantSoup.com. Space is limited to only 15 or 20 people per workshop. If you are thinking of signing up, I suggest doing it soon.